Do you hate dealing with your car cleaning? If you cannot spare some more time to clean your car upholstery as thoroughly as it should be cleaned, please hire our car upholstery cleaning service for help. We will send you our cleaners who will do it for you. We will clean as many cars as you have. 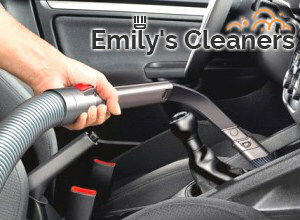 Our car upholstery cleaning service is the best one in Islington N1, and we will prove it to you. Our company is a well-known cleaning services provider, and we are loved by our clients because of our very practical prices, and because we always deliver what we promise. We promise you will not regret choosing our service, we will prove to you that we really are the best. We have many years of experience, which have taught us that steam cleaning is the best way to deal with almost any kind of car upholstery fabric. Our professional cleaners have experience and are professionally trained, to adequately judge what is the best approach to cleaning a certain car upholstery. We assure you our cleaners are qualified and will give your car upholstery the best cleaning service. Thanks to the modern steam cleaning machinery that we have equipped our cleaners with, they will be able to clean every centimetre of your car seats. Even tough to reach places will not be a problem to them. Give us a call and book us now. Our cleaners will get rid of soil, dust, stains, dust, grime, bad smells, bacteria. We guarantee you a spotlessly cleaned and perfectly sanitised car upholstery, once our cleaners are done. Call us now, book the best car upholstery cleaning service in N1. You will not regret your choice.